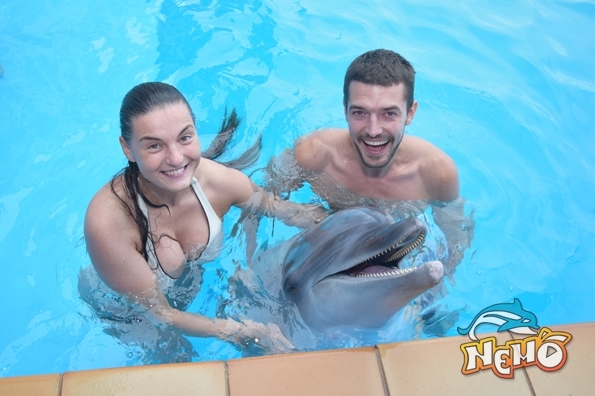 Dolphinarium «Nemo» invites you to take part in an exciting and unforgettable program «Meet the dolphins». 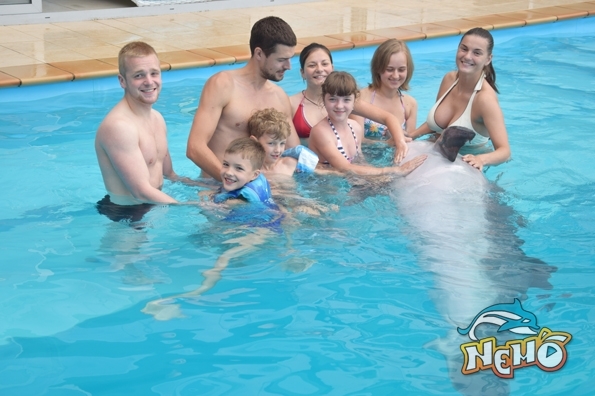 During the program You will learn a lot of interesting and fascinating information about the dolphins and, of course, will be able to touch these amazing and friendly animals, and chat with them. 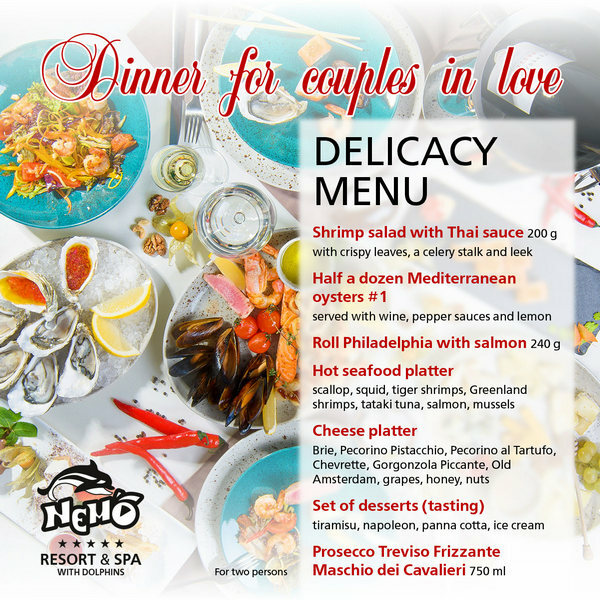 This program is ideal for both adults and children. 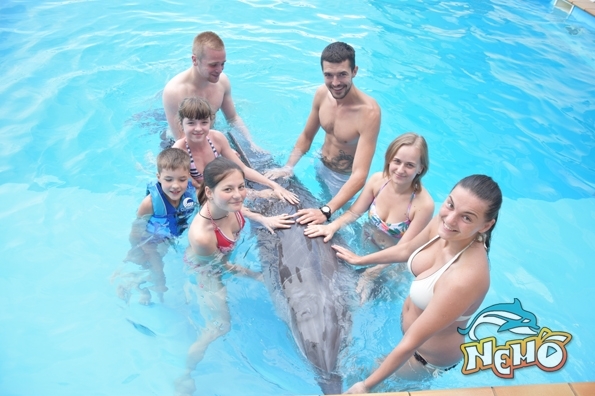 It will appeal to those interested in the biology and behavior of dolphins, their training, and who wants to get acquainted with these wonderful creatures. 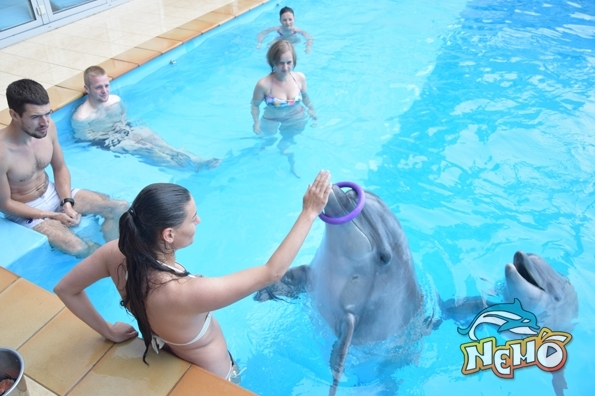 We begin the program in the main hall of the dolphinarium where you can observe the behavior of dolphins. 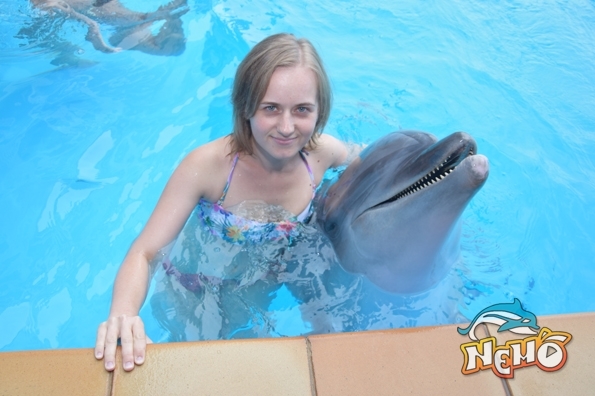 The trainer will tell a lot of interesting information about the life of dolphins and other marine mammals. 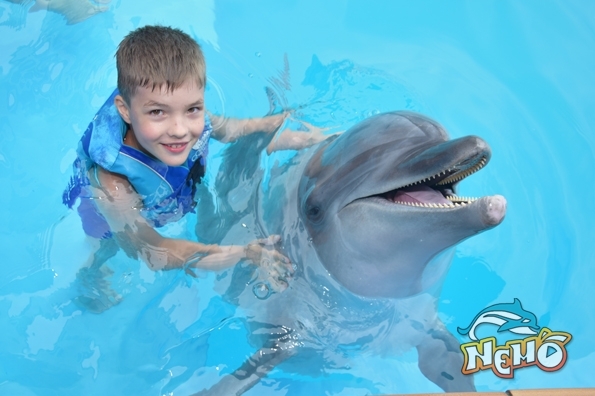 You will learn about the origin of the dolphins, their species diversity, anatomy and physiology, behavior, as well as many other interesting aspects of their lives. 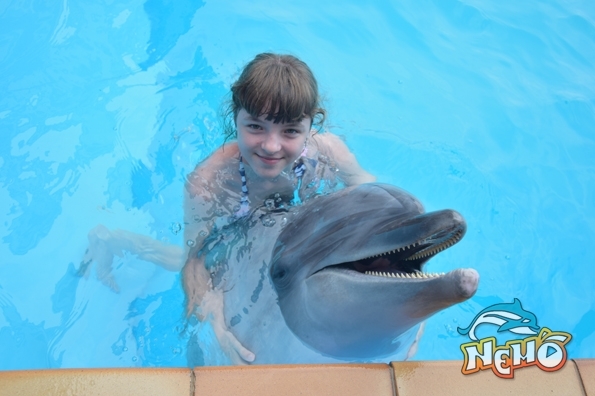 Each participant will be able to ask questions and learn about dolphins anything ever wanted. The lecture is accompanied by visual material in the form of photographs and drawings. After a short briefing on safety and familiarization with the rules of conduct, the group, accompanied by dolphin trainers out on the wide and spacious platform (stage). 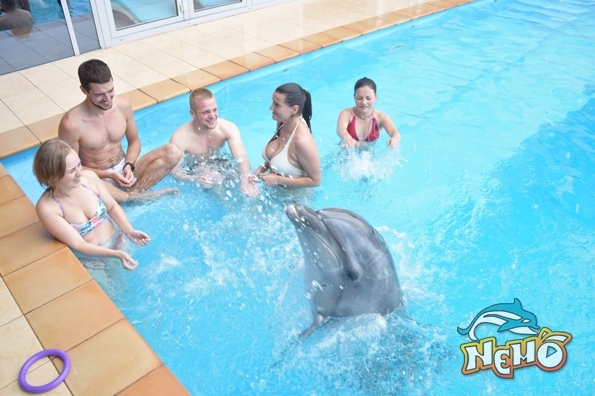 Then our coaches are also invited to the platform of dolphins and they are next to you. 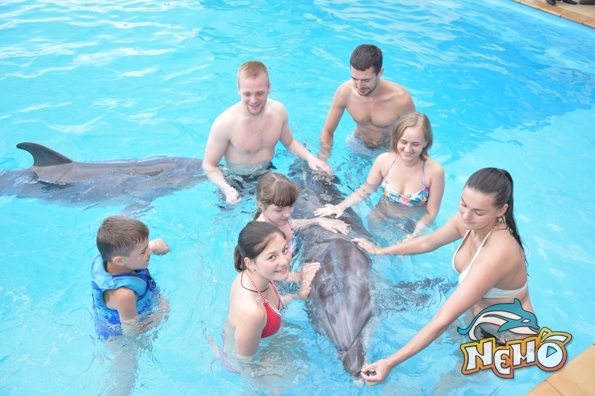 Now you can see these unique mammals up close, touch and pet them and get to know each dolphin alone. We show that the animals look different from each other, pay attention to the features of the external structure and describe the nature of each. 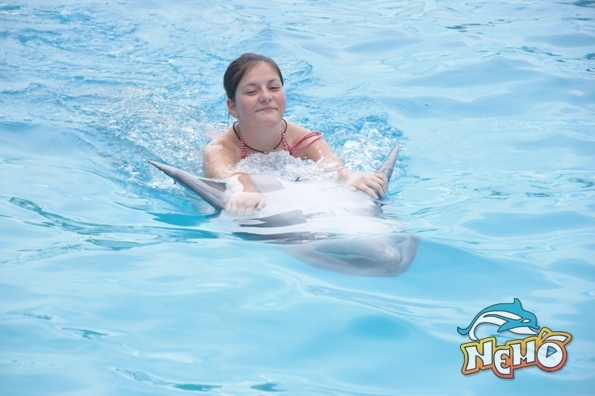 After a direct acquaintance with the dolphins we offer to take part in joint fun games. Organize a small sporting event as a relay with balls and rings, we will know which of the dolphins would be the fastest and most agile. 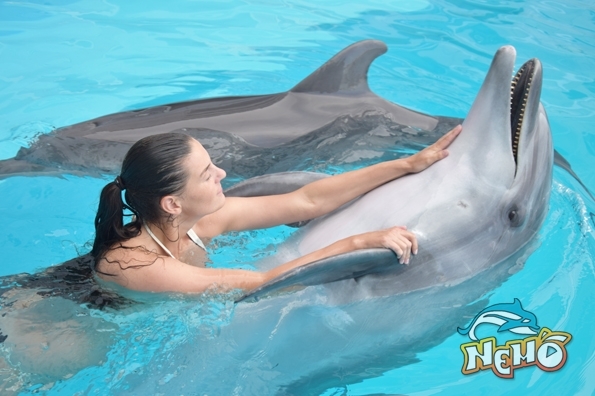 We will disclose the secrets of coaching and explain how dolphins are taught to perform the most difficult tricks. By showing a few basic gestures - teams, we give everyone the opportunity to feel in the role of the coach - it's just an incredible feeling and unforgettable experience. 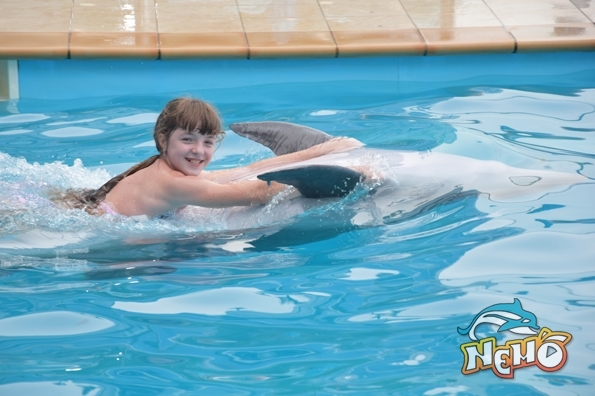 Then our dolphins, exposing their dorsal fins, will be able to ride each participant one circle on the pool perimeter. Upon completion of the program, we summarize and respond to all emerging questions. Among the main objectives of the programme: promotion of knowledge about marine mammals, the promotion of environmental ideas, development of ecological culture. 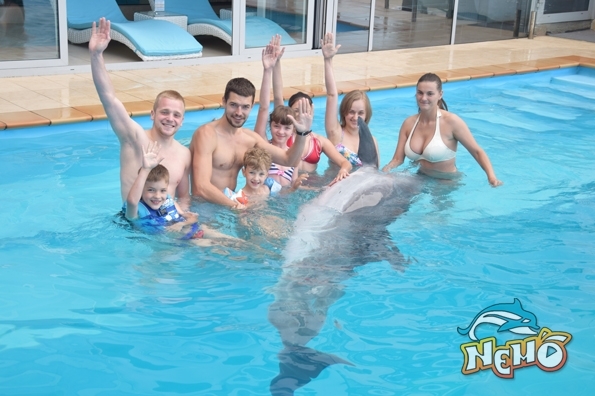 «Familiarity with the dolphins» - an unforgettable adventure for a friendly company and the whole family! 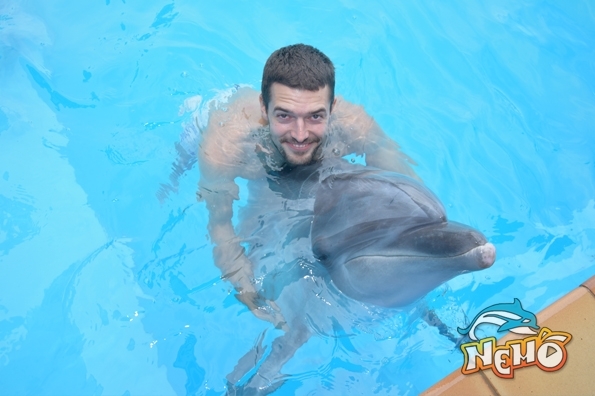 As a gift, each participant receives a colorful photo with a dolphin on the platform! Duration of program: 45 minutes. 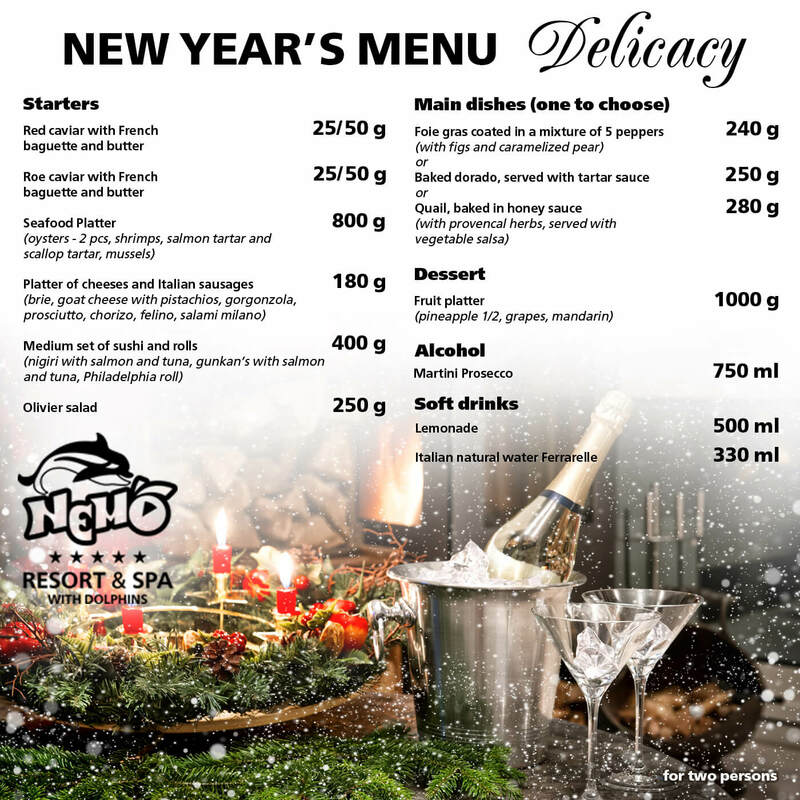 Cost: 1500 UAH per person. Tickets can be purchased at the dolphinarium.